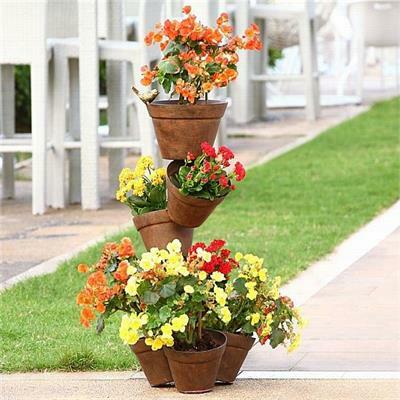 Add interest with this tall plant stand shown with many pots. Aluminum. Dimensions: 31"H x 14" x 13"